Refined lubricating spray that is long lasting, with high penetrating and dehumidification abilities. 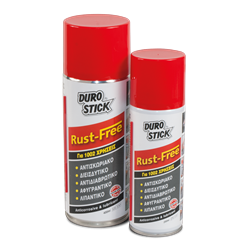 Quickly dissolves rust and lubricates at the same time. Restores full operation on tools and mechanisms while ensuring their protection from future corrosion. Helps remove moisture and water from the electrical parts of engines and various equipment. Necessary for every house, automobile and boat.